Knightsbridge LED mains voltage linkable under cabinet striplight with a motion sensor. Slim low-profile design with an integrated LED driver, constructed from aluminium and polycarbonate, produces an even light distribution. Ideal applications: Under cabinet, kitchens, bedrooms and wardrobes etc. Supplied complete with 2m power cord and fixings. 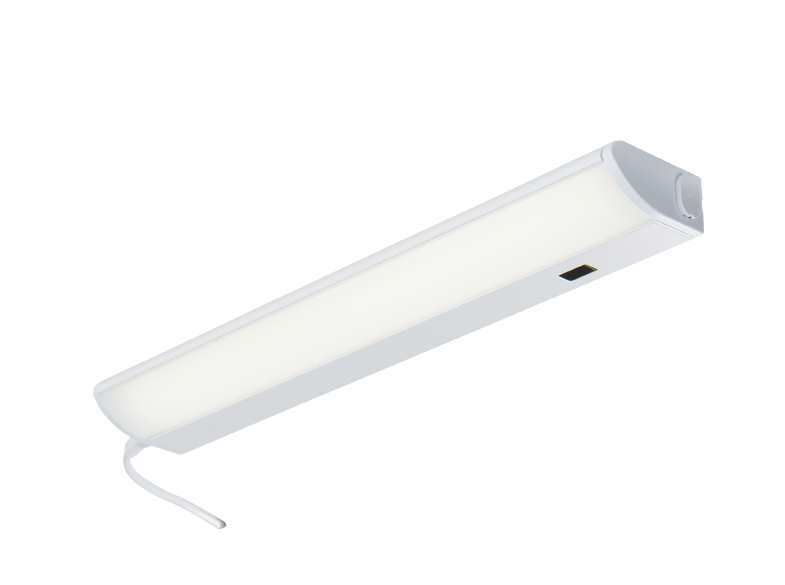 Colour temp 4000K, (7W 500lm): Sensor range approx 10cm A maximum of 15 units can be linked together. Optional link leads are available in a choice of lengths. NON-Dimmable.